Barry's garden is lush and the cucumber plants are very productive . . . so that means its time for Bread & Butter Pickles. 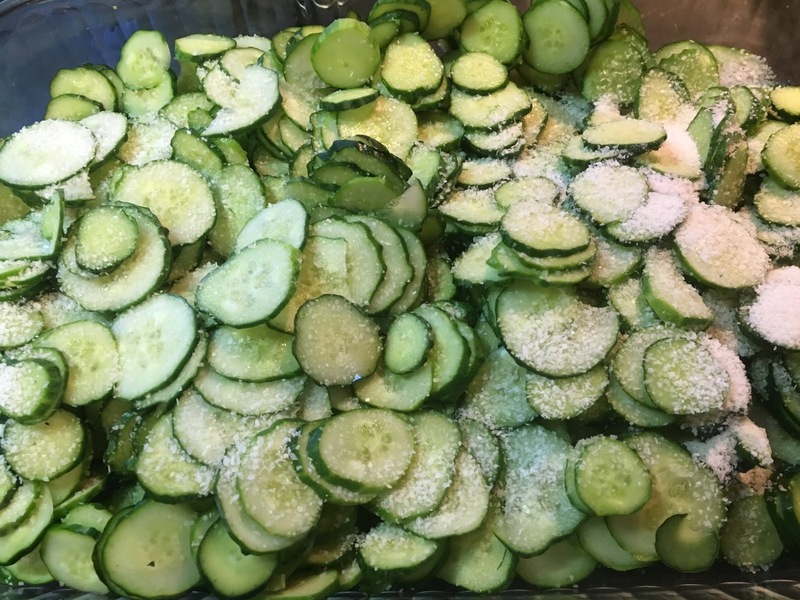 We used small cucumbers and prefer fresh versus canned pickles for this refrigerator-style recipe fit the bill. Tart yet sweet, and crisp -- we add them to sandwiches but also serve them as a salad, too. 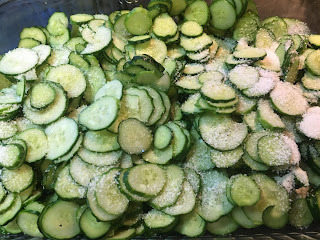 Combine cucumbers and salt in a large, shallow bowl or baking dish; cover and chill 1½ hours. Move cucumbers into a colander and rinse thoroughly under cold water. 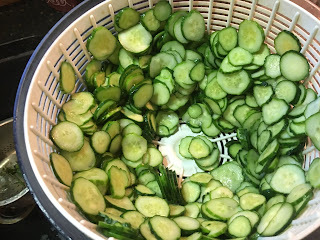 Drain well, and return cucumbers to bowl/baking dish. Add onion to the bowl and toss with the cucumbers. Pour the hot vinegar mixture over cucumber mixture; let stand at room temperature 1 hour. 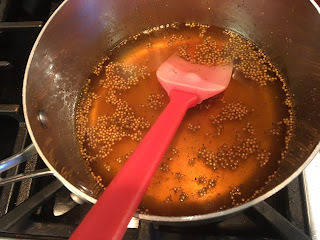 Cover and refrigerate 24 hours. Store in an airtight container in refrigerator up to 1 month.